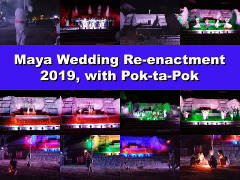 Good morning afternoon evening night and welcome to the premier website for the people, culture, history, attractions, schools, and other things in the Corozal District of Belize. Also see Recent News at bottom of page. 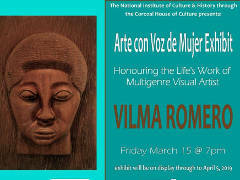 Arte con Voz de Mujer Exhibit begins at 7pm, Friday March 15th, and runs until Friday April 5th. 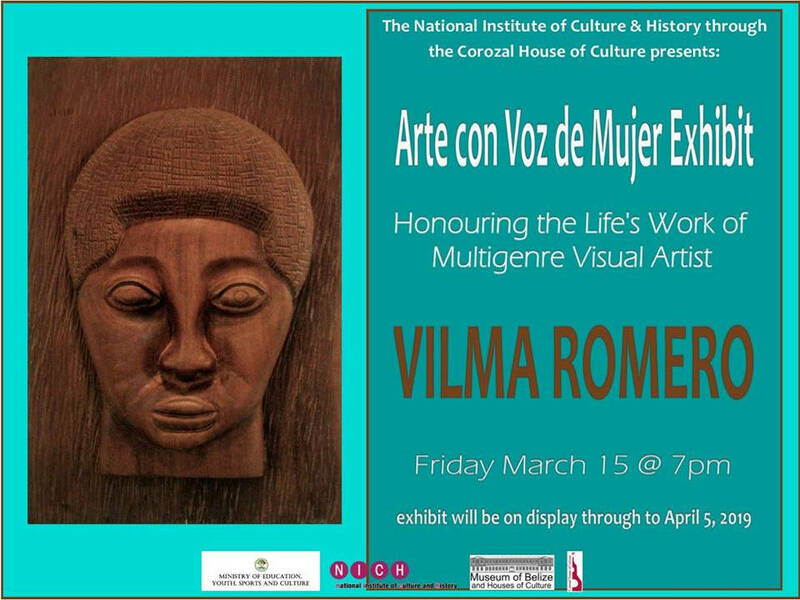 This exhibit honours the life’s work of multigenre visual artist Vilma Romero, a true Belizean icon. For information. 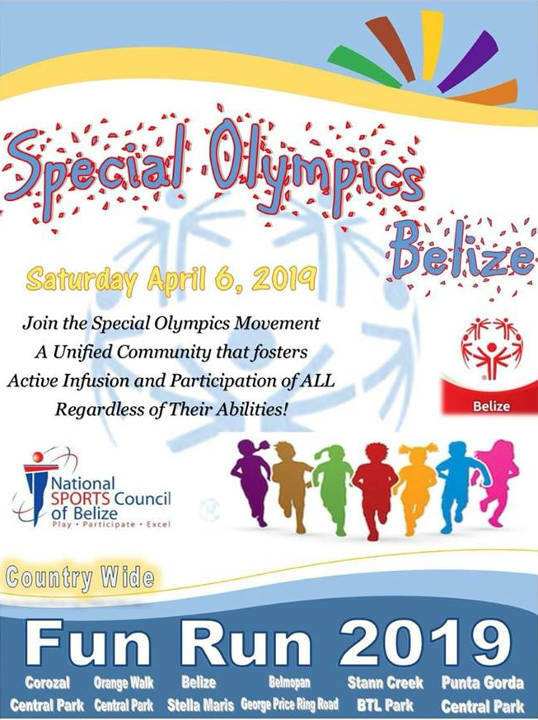 Fun Run 2019 to support the Special Olympics Movement in Belize. Central Park, Corozal Town. For information. 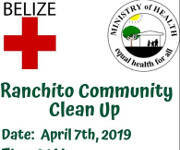 Ranchito Community Clean Up at the Community Center. Sponsored by the Red Cross and the Ministry of Health. For information. 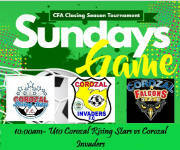 Sundays Game CFA Closing Season Tournament, small field, Ricalde Stadium. Click on the image on the left for the teams and their scheduled starting times. BWS Water Interruption for parts of Corozal. Area affected: Paraiso, from the Paraiso Park to behind the Cemetery. For information. 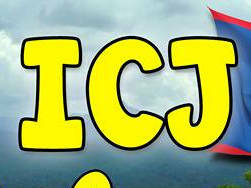 Belizeans Decide ICJ Referendum if you are a Citizen of Belize please vote on the ICJ Referendum whether to send the legal claim regarding boundaries between Belize and Guatemala to the UN International Court of Justice (ICJ) for final settlement of the old dispute. POSTPONED AT LEAST 6 WEEKS For information. 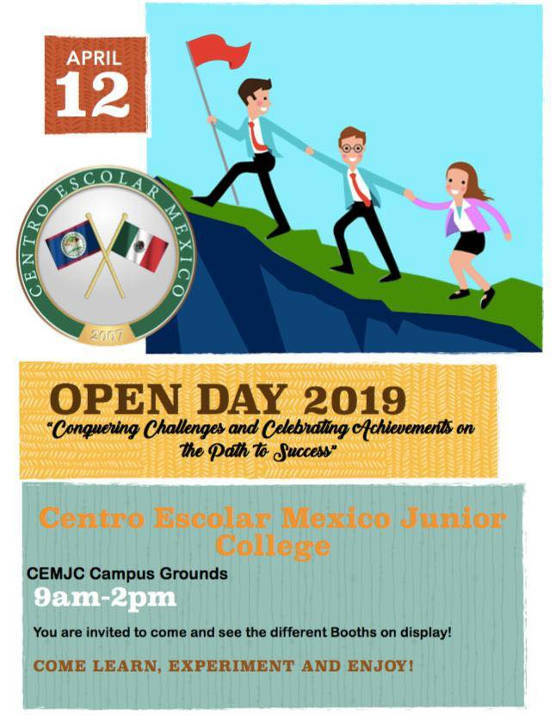 Annual Open Day on the CEMJC campus, with many booths on display. Come to learn, experiment, and enjoy. 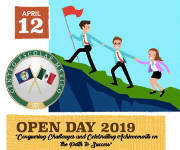 Theme: “Conquering Challenges and Celebrating Achievements on the Path to Success.” For information. 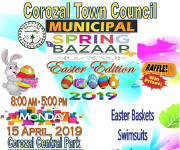 Municipal Spring Bazaar Easter Edition, sponsored by the Corozal Town Council. 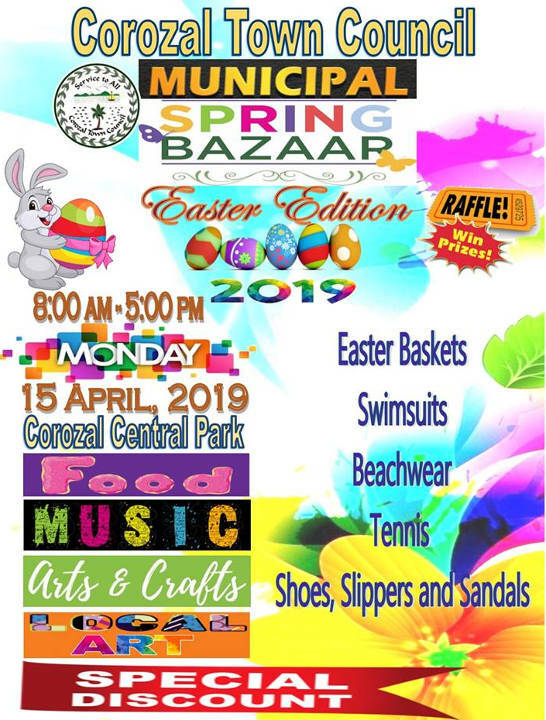 Food, music, arts and crafts, local art, Easter baskets, swimsuits, beachwear, tennis, shoes, slippers, sandals, raffle. Special discount. 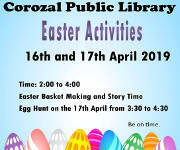 Easter Basket Making and Story Time for kids ages 4 to 14. Limited space. 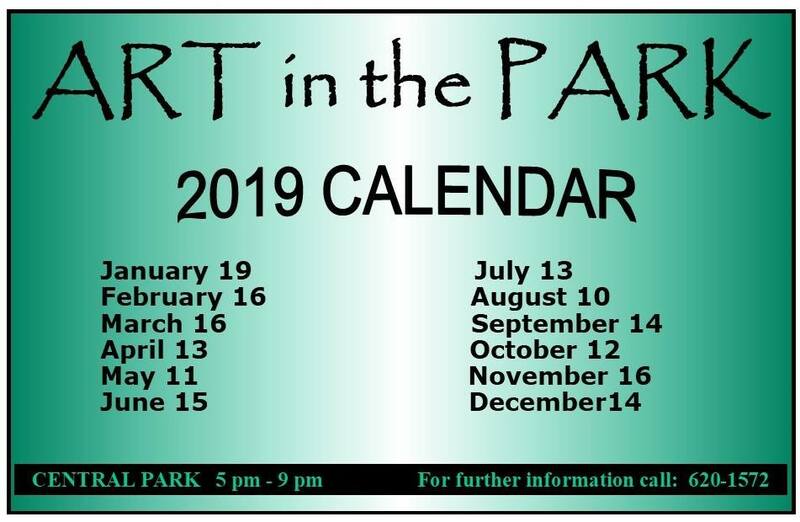 Register or get information at the Library. For information. 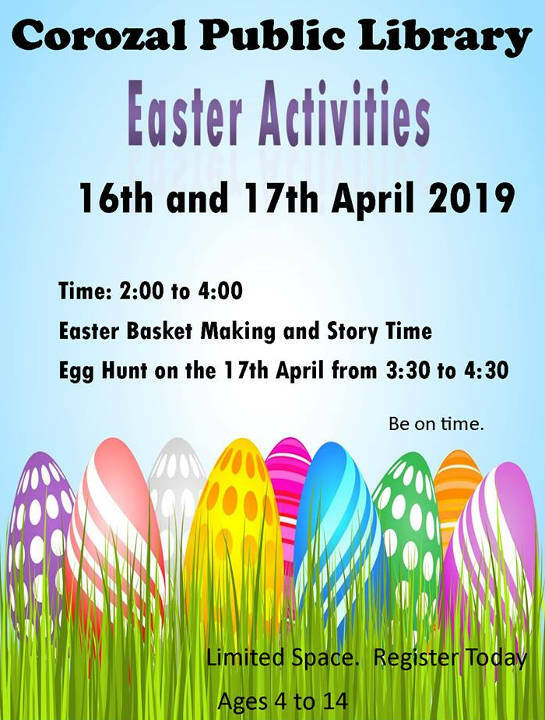 Easter Egg Hunt for kids ages 4 to 14. Limited space. 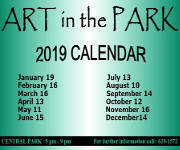 Register or get information at the Library. For information. Black Friday in Belize. Many businesses will be closed. 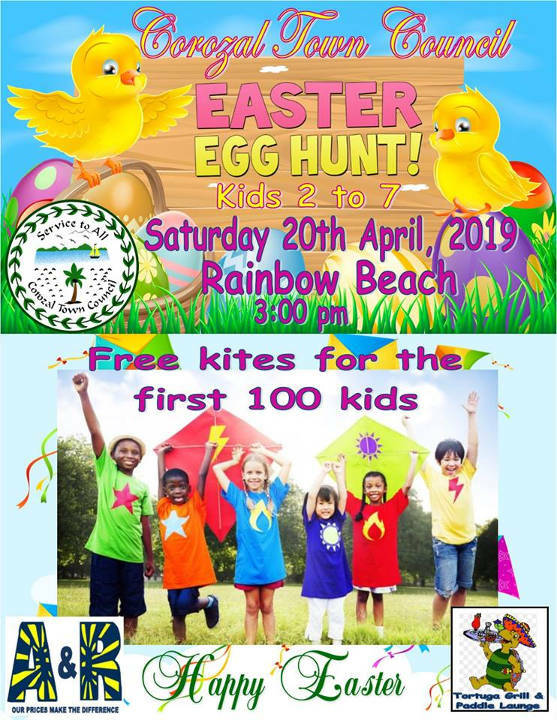 Easter Egg Hunt at Rainbow Beach, 3pm, for kids 2 to 7. Free kites for the first 100 kids. 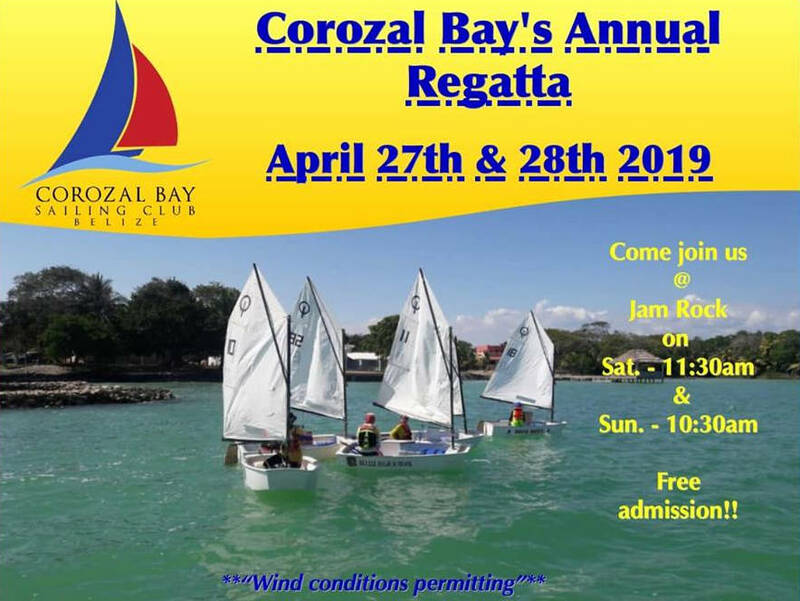 Sponsored by the Corozal Town Council, A&R, and Tortuga Grill & Paddle Lounge. Easter Sunday in Belize. Church services for most denominations. 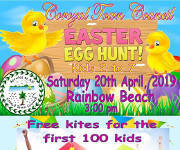 Corozal Town Council Easter Bash from 9am Easter Sunday to 1am Easter Monday. For information. 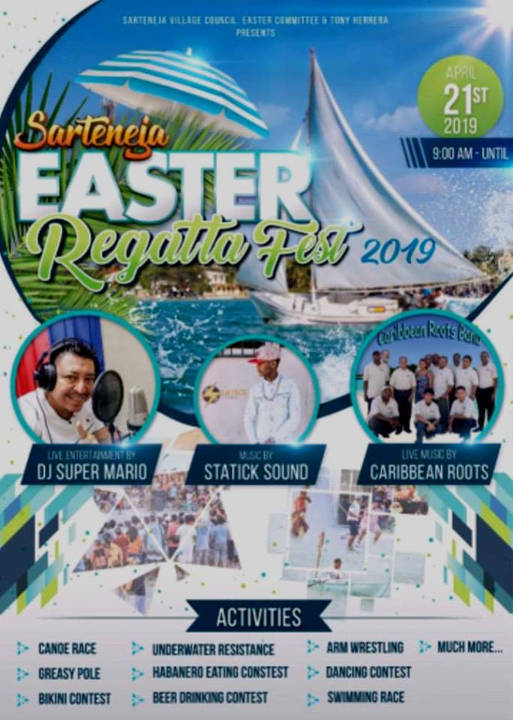 Sarteneja Easter Regatta Fest 2019 from 9am on Easter Sunday with music by DJ Super Mario, Statick Sound, and Caribbean Roots. Canoe race, greasy pole, bikini contest, and much more. 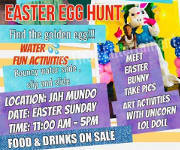 Easter Egg Hunt and activities at Jah Mundo, Finca Solana, 11am to 5pm. 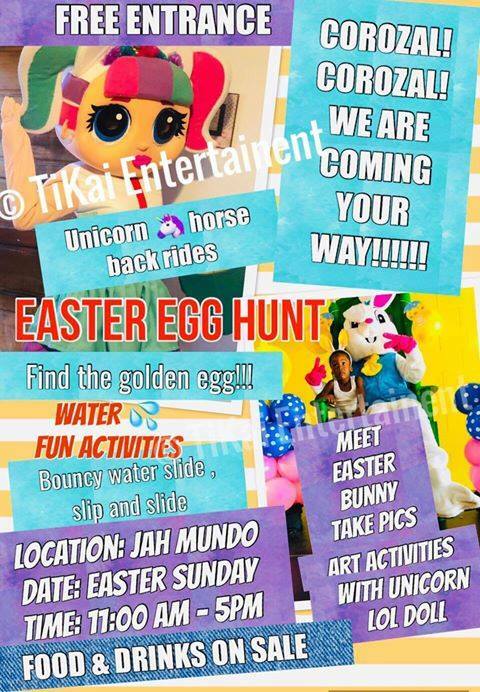 Free entrance, unicorn horseback rides, bouncy water slide, water fun activities, more. For information. 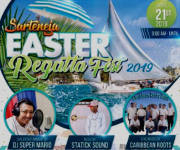 Easter Monday in Belize. Public Holiday. 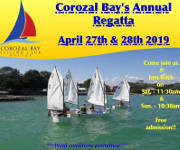 Corozal Bay’s Annual Regatta presented by the Corozal Bay Sailing Club. 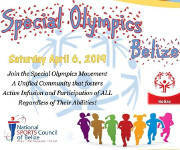 Free admission, Saturday from 11:30 am, Sunday from 10:30am. Wind conditions permitting. For information. Labour Day in Belize is celebrated like in many other countries, to honor workers. It is a good time to be reminded of all workers’ rights to a fair wage and working conditions as safe and pleasant as possible. 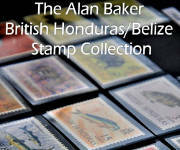 Alan Baker British Honduras/Belize Stamp Collection in a one day exhibit at the Corozal House of Culture. Belizeans Decide ICJ Referendum if you are a Citizen of Belize please vote on the ICJ Referendum whether to send the legal claim regarding boundaries between Belize and Guatemala to the UN International Court of Justice (ICJ) for final settlement of the old dispute. For information. 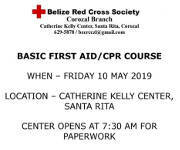 Basic First Aid/CPR Course at the Catherine Kelly (Red Cross) Center, Santa Rita. 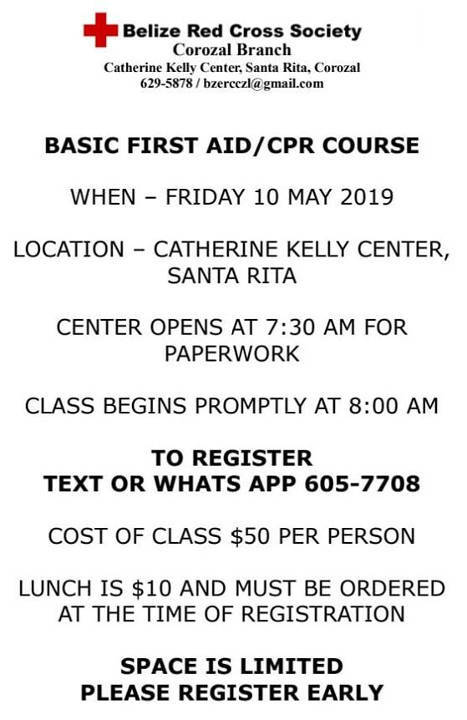 Space is limited, so please register early, text or WhatsApp 605-7708. Center opens at 7:30 for paperwork, and class begins at 8am. $50 per person. Lunch is $10 and must be ordered at registration. For information. 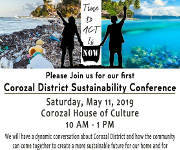 Corozal District Sustainability Conference is a conference about cleaning up the Corozal District and paving the way for a Sustainable Future. 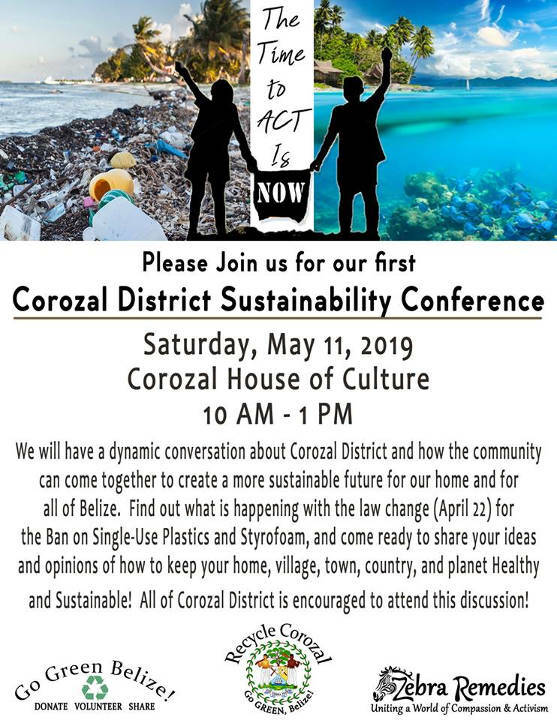 Presented by the organizations Zebra Remedies and Recycle Corozal — Go Green Belize. For information. Sovereign’s Day is a Public/Banking Holiday, being celebrated on the Monday following the 24th of May (Queen Victoria’s birthday, in 1819). It was and is also known as Commonwealth Day, and the Queen’s Birthday. 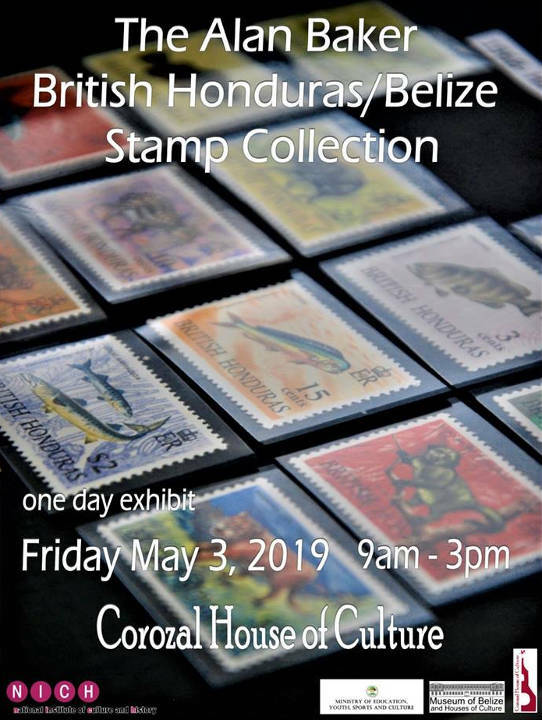 It celebrates the 54 independent or sovereign nations, including Belize, under the British monarchy. 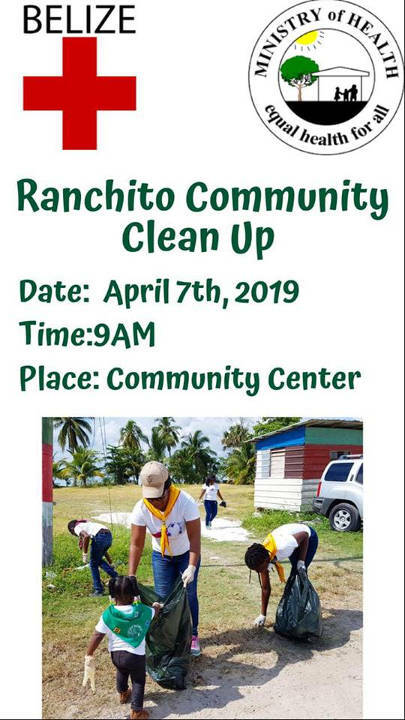 In February 2019 the Roots and Shoots garden club met at Gateway Retreat Center near Xaibe, Corozal. 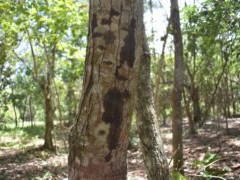 Rose Elwell of Gateway told the story of some of the local trees, and wrote about them and their ecology in her newsletter. 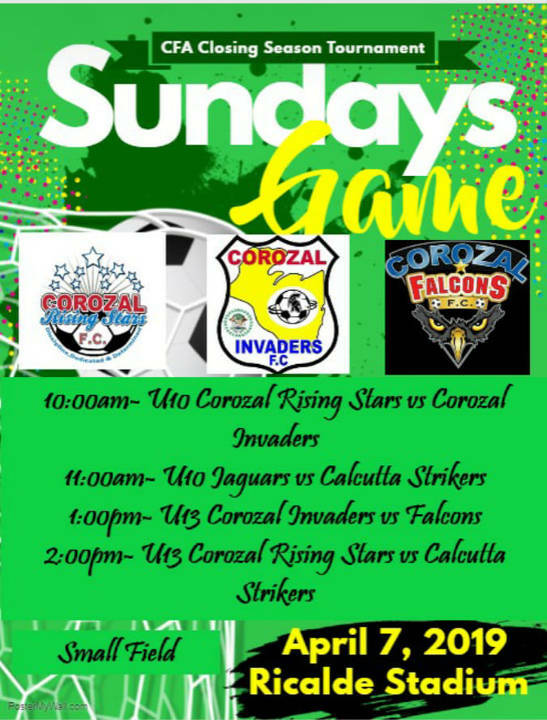 Printed from https://corozal.com — Corozal Home.